Manny Pacquiao and Jinkee headed for Divorce? Pacman to Fire Michael Koncz? 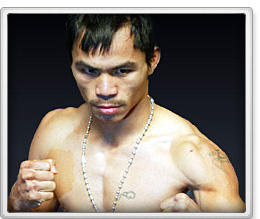 By Johnny Benz, Doghouse Boxing - Life could actually be getting a little rough for Manny Pacquiao these days. I have been hearing rumblings of marital problems and rumors that Pacquiao has cheated on his wife Jinkee, and some of the unsubstantiated rumors include children out of wedlock. Well it seems the rumors of having maritial problems might be true... at least according to reports now circulating in the media. According to a report by Fox Sports, the following day after his latest win over Juan Manuel Marquez, Pacquiao wanted to surprise his wife, Jinkee. The plan (surprise) was to have himself and his wife, renew their wedding vows. Well things reportedly did not go over well. Not only did his wife refuse to go through with the ceremony because of his alleged infidelities, but apparently she demanded that Pacquiao fired his agent, Michael Koncz. Quoted on MaxBoxing, Freddie Roach discussed how there seemed to be distractions going into Saturday's fight with Marquez “It seemed like he had distractions. Something was distracting him. Manny walked into the ring. He wasn’t smiling like normal. He just wasn’t himself on Saturday and I haven’t figured out exactly why yet." stated Roach on Monday.